How I SPent My Summer Vacation Tour! Slightly Stoopid are now in their second decade of making music, and are showing no sign of slowing down. This eclectic band continue to create an energizing sound thats been described as a "bath of positive energy". Slightly Stoopid have released nine studio albums and four live - with their latest studio album being Everday Life, Everday People. 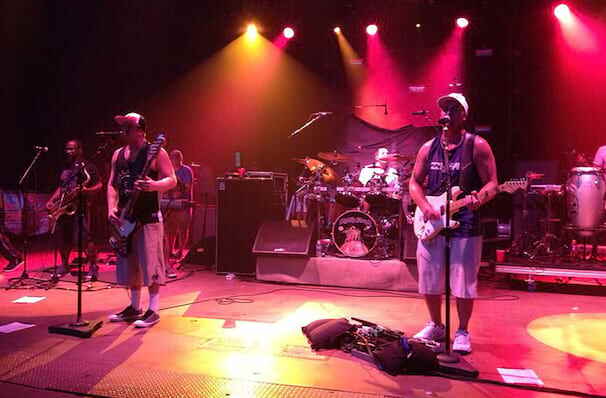 Don't miss Slightly Stoopid when they come to a city near you! Sound good to you? 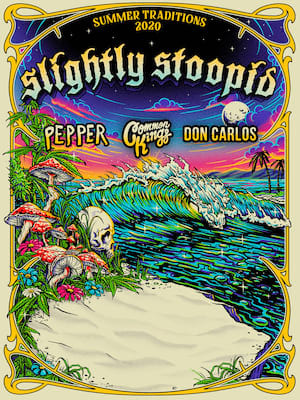 Share this page on social media and let your friends know about Slightly Stoopid at MECU Pavilion. Please note: The term MECU Pavilion and/or Slightly Stoopid as well as all associated graphics, logos, and/or other trademarks, tradenames or copyrights are the property of the MECU Pavilion and/or Slightly Stoopid and are used herein for factual descriptive purposes only. We are in no way associated with or authorized by the MECU Pavilion and/or Slightly Stoopid and neither that entity nor any of its affiliates have licensed or endorsed us to sell tickets, goods and or services in conjunction with their events.